Find high-quality medical treatment abroad in Switzerland. Genolier Patient Services is the leader in medical tourism, offering premium care from prestigious doctors and full trip planning for international patients. For over 25 years, Genolier Patient Services has maintained a strong reputation for international patient medical care. As a network of prestigious private hospitals, Genolier Patient Services boasts over 1,750 doctors across 80 clinical specialties, providing high quality treatments to patients from across the globe. Our healthcare professionals use cutting-edge medical technology to deliver the most comfortable and therapeutic healthcare solutions. 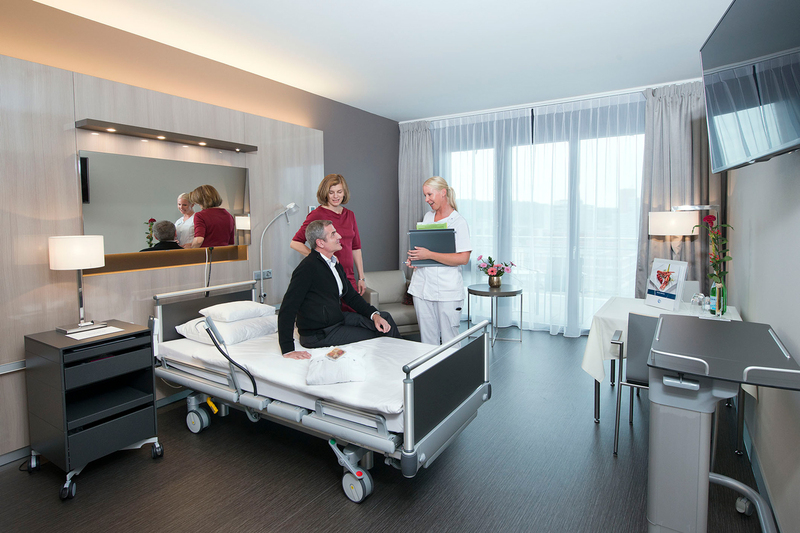 As a top destination for first-class medicine, Switzerland is among the best countries for healthcare services. The Genolier Patient Services network of private hospitals is recognized worldwide for providing state of the art, medically advanced treatments in international patient medical care. With expertise across a wide variety of medical fields, our physicians are world leaders in the fields of orthopedics, oncology, ophthalmology, cardiology and neurology. Each facility provides the highest quality healthcare treatment and advanced medical technology and medicine. Find the hospital that specializes in your unique medical treatment. Our doctors specialize in innovative medical treatments within Orthopedics, Oncology, Cardiology, Neurology, and Ophthalmology. As our international patient, you will be provided a dedicated team of multilingual trip coordinators to deliver personalized care throughout your visit to Switzerland. Your personal team will assist with all aspects of your travel and stay, including: visa application, transfer services to and from the airport, translation during medical consultations, and more. Our personnel will be at your service during your entire stay. You can be confident that there will be someone to assist you at any time with your medical or administrative inquiries.